Welcome back VAIO, AZUMINO FINISH version which is the best VAIO we have ever had. Are you also VAIO lovers like we are? If so, you must be excited to know that our VAIO comes back to market as AZUMINO FINISH version. It was almost two decades ago, if you remember, VAIO was produced by SONY and won the hearts and minds of people who valued quality of sound of music as well as clear image of screen. Unfortunately, SONY gave up their computer business even VAIO was so popular in the market because their financial condition was not very good, which made VAIO lovers furious. And then business of VAIO was transferred to new company named as VAIO Corporation Ltd., which started exclusively producing VAIO. It three years have passed since the new company has produced VAIO at factory in Azumino, Nagano prefecture, Japan. Yeah! It is made in Japan for sure! As you have well known of that made in Japan products are still best quality in the world for its robust structure and high craftsmanship. Even if you are not such a big fun of VAIO before, this is good timing of knowing VAIO as your new rap top. Why still now VAIO is good, and what is so good about AZUMINO FINISH? 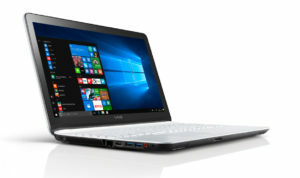 VAIO is kind a famous and popular personal computer among high skilled computer users for its high spec and polished design. VAIO allows you to customize your unique VAIO according to your needs and favor. VAIO has kept gaining recognition and cachet among other similar rap tops because of its brand equity and power. We should not say that made in Japan products is always best, however, we must say that VAIO AZUMINO FINISH is really something. Why is that? AZUMINO factory is pretty well known of its high and stable manufacturing know-how and skill to produce precision. Especially their operation control system and concept of working instruction in order to keep Zero quality claim. Concept and rule of production of AZUMINO factory is that next operation is my customer, which has been deployed and cascaded to all production line operators to produce always high quality without any quality concerns. As their policy, their inline quality inspection per operation is very much reliable and specific one as zero defective with fine quality. There are many proxy shop in internet where you can by VAIO. However, vv.Japan is the best proxy shop for VAIO lovers. Why? 1) It is because commission of vv.Japan has world-wide uniform rate system. If you buy VAIO at vv.Japan, commission of the shopping is only 3,000-JPY. You can easily keep your budget with such fix rate. 2) You can have our official invoice with other appendix documents which you need accountant procedure. Just check AZMINO FINISH VAIO for your next cool and high function personal computer. vv.Japan is happy to help you! We provide customers with easy and competitive proxy shopping and you can get your VAIO computer from Japan.